Ever witnessed controlled mayhem? Well I just did on 17th and 18th of November 2017 during Rider Mania 2017. 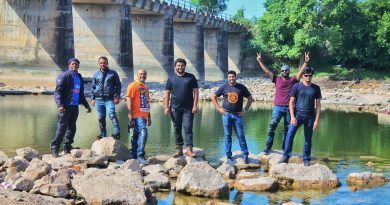 Ever since the registration opened up for Rider Mania 2017, a festivities sort of a feeling got in to the Road Thrill members, we started planning for this event by early September itself, a separate what’s app group for the riders who were joining us and this was our first ever 8 chapters meet up RT Crossroads event. All the crazy Enfield heads joining at one place the madness was about to begin for Rider Mania 2017. A lot off prep went into the planning for the event Applying leave, begging family members and bosses’, clearing pending files shopping, prepping bikes, buying new gears, Helmets tires what not? No stone was unturned by the riders, I was tentative in joining this event, just a week before I stepped up as I wanted to cover the event and clicks some good pics and add pages to the books of life. I was wondering why all this fuzz about?? The bookings done and everything finalized and then the day before the ride, Nov 15th night. In fact none of us slept across 8 chapters ( Mumbai, Hyderbad, Chennai, Bangalore, Pune, Comibatore, Delhi and even RT Women). The pings in our groups went on all the way till 2:00 AM in the morning and we were to assemble at 4:00 AM for Bangalore group. We caught up at Hebbal flyover with the other riders me and Arun were riding on desert storm. 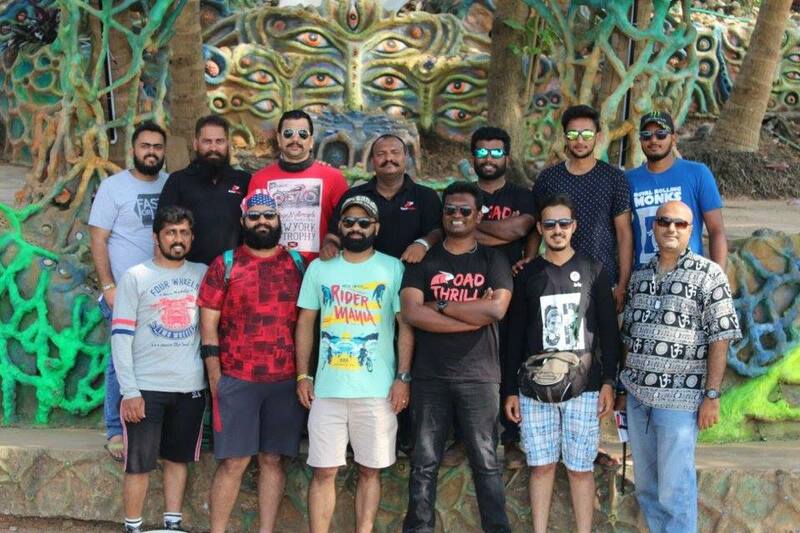 With all shiny new gears everyone was pumped to clear 650 Km and reach Goa to party hard. The climate was just right not to cold not too humid, just right. We stopped somewhere near Tumkur road to catch up with our late joiners, sipped on couple of cups of chai and the early morning cracking of jokes went on. As soon as Gaurav bhai and RK bhai made it we started again, we passed Chitradurga passing the giant windmills clicking some good pics and got to know that Gaurav bhai had pulled of a night shift and was here on the next morning planning to ride all the way to Goa. !! Soon we did realize that his bike was losing power and was not able to keep up with the pack. We pulled over for breakfast where a buffet was arranged by our Rajesh bhai (from Highway delite) our pit stop partner who also came along with his team in a car, we got inside the busy hotel despite being a weekday the hotel was jam packed with bikers. A few off the by standers who were traveling on the same route hearing me speaking kannada made an effort and spoke to me how come you guys are getting a buffet when we are standing and not even getting a table here? 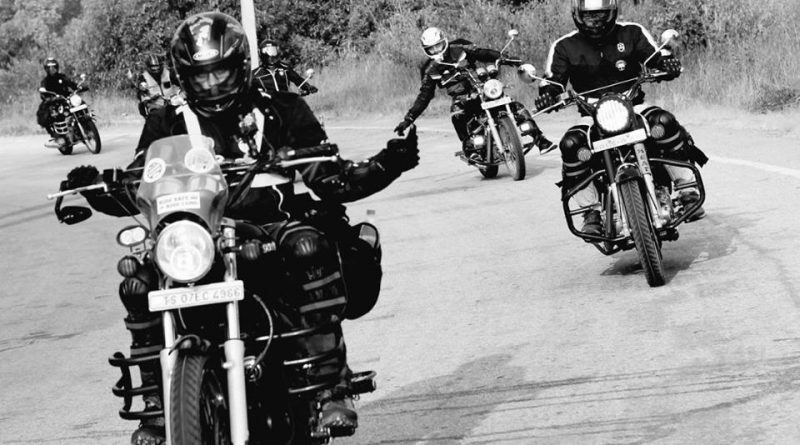 🙂 I giggled and said sir we had made an advance arrangements (thanks to highway delite), the gentleman just looked all around surrounded by bikers in all possible shapes, sizes and beards, mohawks piercing, tattoos you name it and it was their. Next question was where you guys going? All I see is bikes on the highway? what is happening? Then I spoke about Rider Mania 2017 and Goa where about 6000 bikers from across the country are heading to. He probably thought we were nuts. Gaurav bhai shifted into the car for a needed nap and handed the bike to me, the advantage of having spare riders. I am not a big fan of cruiser bikes. To be honest, to me, a bike has to offer an edge, either it has to be sporty or capable to doing off roading or a race spec. It has to be edgy for me that’s my logic of seeing a bike . I hopped on gearing up it was not crossing beyond 110 KM. The compression in the bore was lacking, however we did manage it all the way. 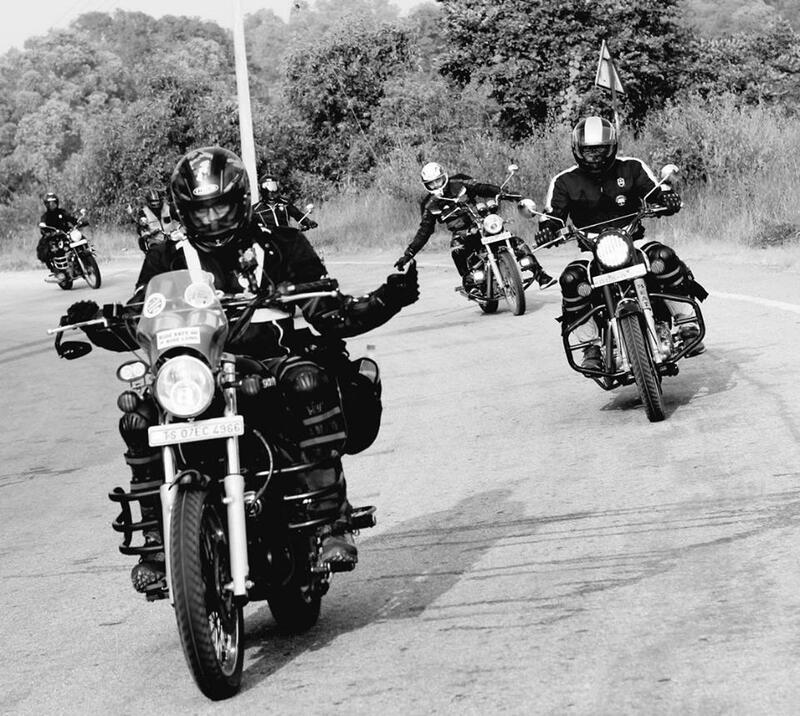 Open roads where ever other bikers who were taking a break or passing by who saw us as we were riding in formation, wished us showed thumps up or waved at us, unknown people waiving showing gestures, it was a warm feeling which only a biker can understand. This bike made a sweet thump at comfortable cruising speeds, riding along the best riders and friends whom I know so far, open road listening to music. I really could not have had asked for more and after few pitstops we reached Hubli. Feasted on some nice chicken and rotis, the heat caught up to us and Google aunty (Maps) told still 8 hrs to make it to Goa when we were there is Hubli at 2 in the afternoon. 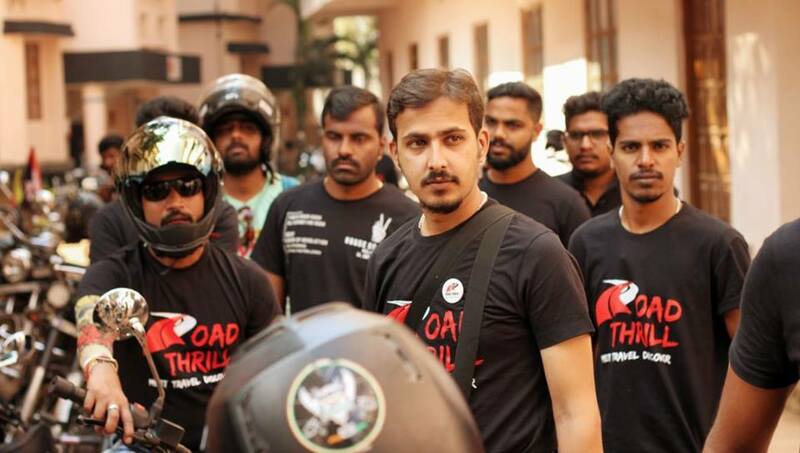 We soon wrapped up our lunch, geared up and started riding through the narrow roads of Karwar and Panjim. The winding hilly roads were inside forest range which was a bliss to witness. We soon pulled by a deserted house after the Karnataka check post, clicked some really nice pics. We laughed at each other for the poses we made and after a quick water break we started again. This time Goa traffic made the ride even more harder, the small roads with dim lights, the humidity, tiredness was building upon us. We had not slept well the previous night and since 4:00 AM we are riding and Google showed 2 more hours at 7:00 PM. The formation was broken and few were lost as well. We shared the location of the resort and asked everyone to regroup directly at the resort. We checked in around 9:00PM dead tired and thirsty. Thanks to the resort which had a bar outlet inside the campus, even before we could check in we were sipping on kings beer. The party had just began except Hyderabad group rest all of us have made it. We soon got fresh and winded up at the pool where we met all the members, greeted and shared stories, intros etc etc sipping on beer. With the best set of people it made the ride worth it. We finished dinner and called it a night. I was woken up with a bang on the door at 6:00 AM. People were so pumped to visit the beach and visit Rider Mania 2017 venue. Visit to the beach and had some good times playing in the sea, we went on jet bikes, banana ride, etc. What a way to kick start your day at Goa, the wide open sea, the sun rising at the other side it was like I can sit the whole day just watching the shoreline. An absolute beautiful experience. 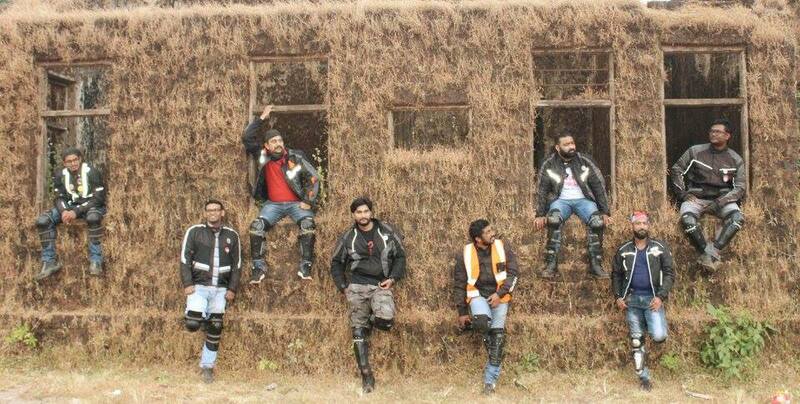 Our All Chapter meet on sidelines of Rider Mania 2017 – In Picture from Left Top – Shanky bhai, Adam Gezgin Bhai, Gaurav Bhai, Varun Bhai, Sandy Bhai, Akash Bhai. 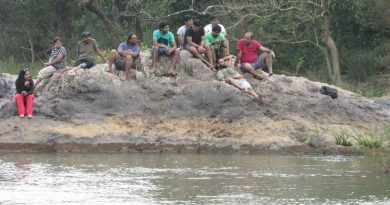 Bottom Left – RK Bhai, Manish Bhai, Arun Bhai, JP, Abhishek Bhai and Kamal bhai. We went to the venue of Rider Mania 2017 after getting freshen up, collected the bands and goodies. The crowd kept on piling up wave after wave with all other different clubs, different set of riders. The race track, the obstacle course, the gallery of the customized RE’s, the stalls, the Music, the DJ, the madness was really of a great magnitude. All this cult following for a bike and brand named Royal Enfield, it was no longer about a brand, it was a religion, it was a culture, it was a tradition, it was a family, it was a feeling none other, which never be matched to any brand at least not in the near coming decades the oldest production unit of motorcycling in the world, yes it did leave a mark in me too. This party went on for two more days’ beer, music, bikes beautiful weather and with a pack which can be named as brother’s what else can be asked for? 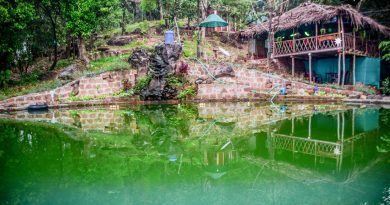 We swayed into the nights sitting chatting laughing sharing stories; we even did a ride to sweet water lake at Arambol, where all the 8 chapter riders made it together for lunch. I clicked some amazing picture of all the beautiful people. And it was time for me call it quits, I had to leave to Bangalore the same afternoon. Me and Arun started our journey back with minor hiccups health wise but we did reach back to Bangalore safe and sound. This event created such beautiful memories inside me that for sure I would be repeating my journey to Royal Enfield Rider Mania the coming years.